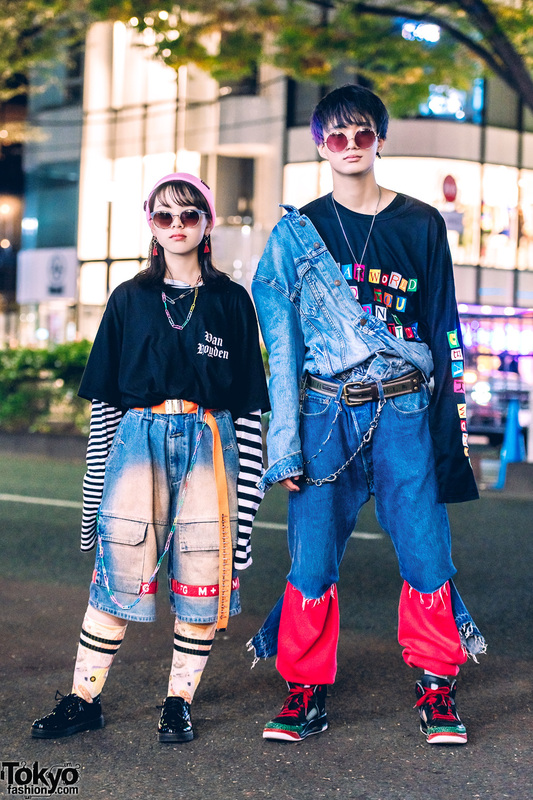 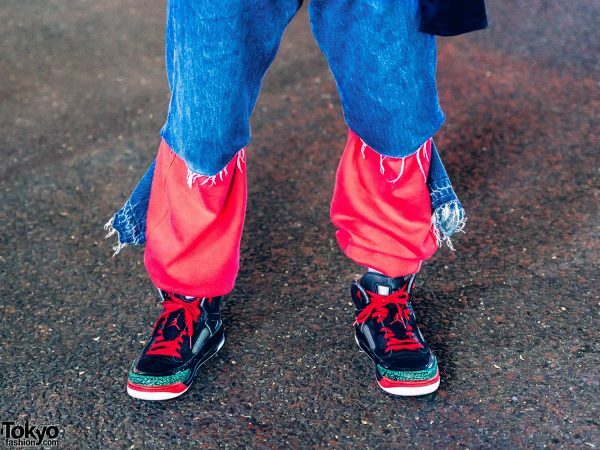 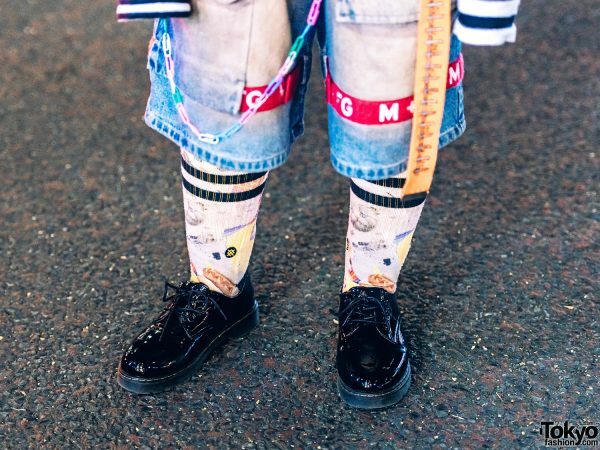 Yuki and Ken are two Japanese students who caught our eye with their remake denim street styles in Harajuku. 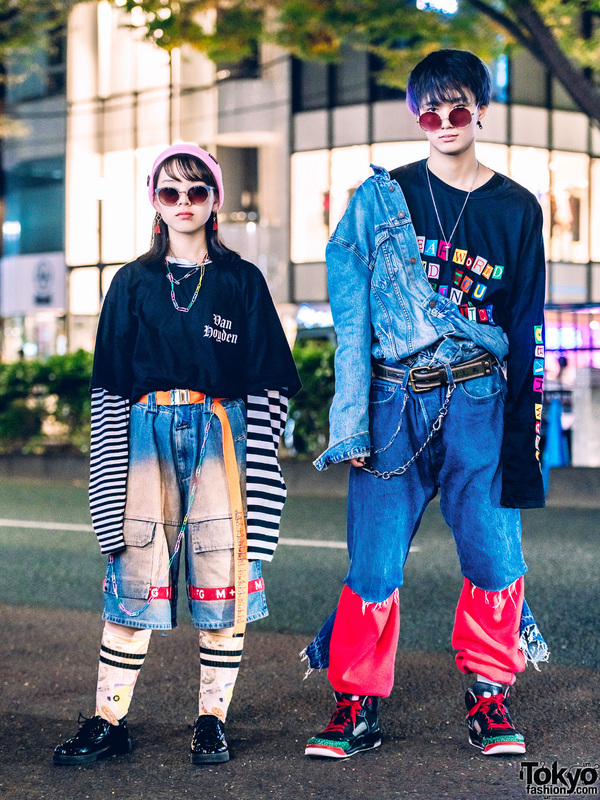 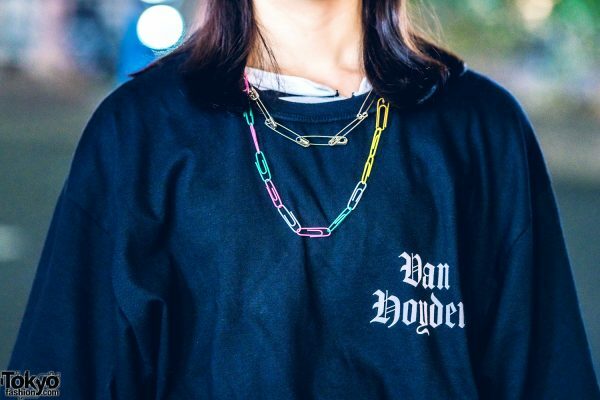 Yuki – 20 years old on the left – is wearing a long sleeve Van Hoyden shirt with extra long striped sleeves from LHP (Lazy Hazy Planet), vintage denim wide leg jean shorts from O.Well Kitakoshigaya, painted striped tube socks, an orange belt, pink knit cap, round sunglasses, a paperclips necklace, and vintage patent shoes. 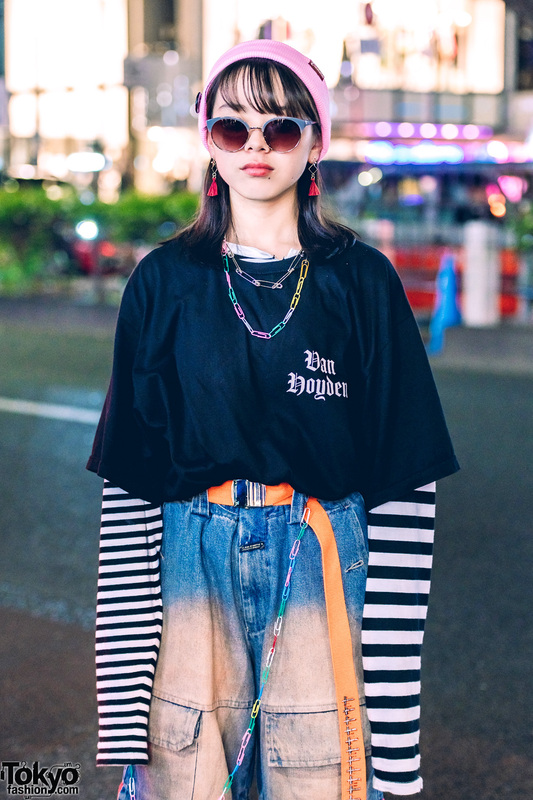 Follow her on Instagram for more of her street style. 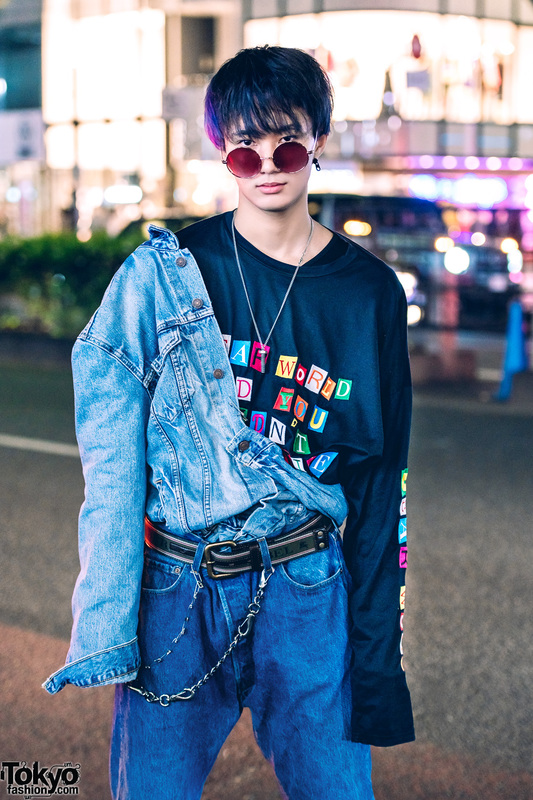 Ken – 17 years old with purple hair on the right – is wearing a Levi’s denim jacket buttoned across one shoulder over a graphic long sleeve shirt from L.H.P, vintage denim jeans with ripped hems and red panels from O.Well Kitakoshigaya, round sunglasses, a chain wallet, and Nike Air Jordan sneakers. 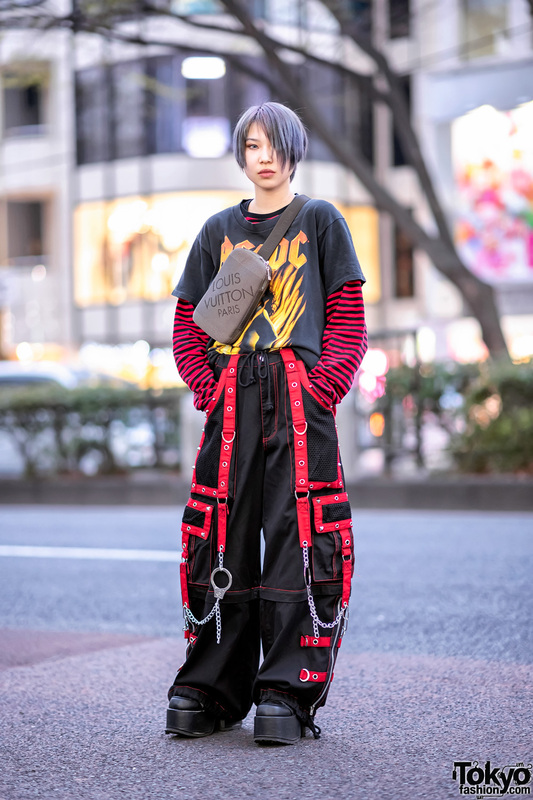 His favorite shop is the Saitama vintage boutique O.Well Kitakoshigaya and he listens to the music of Lil Peep. 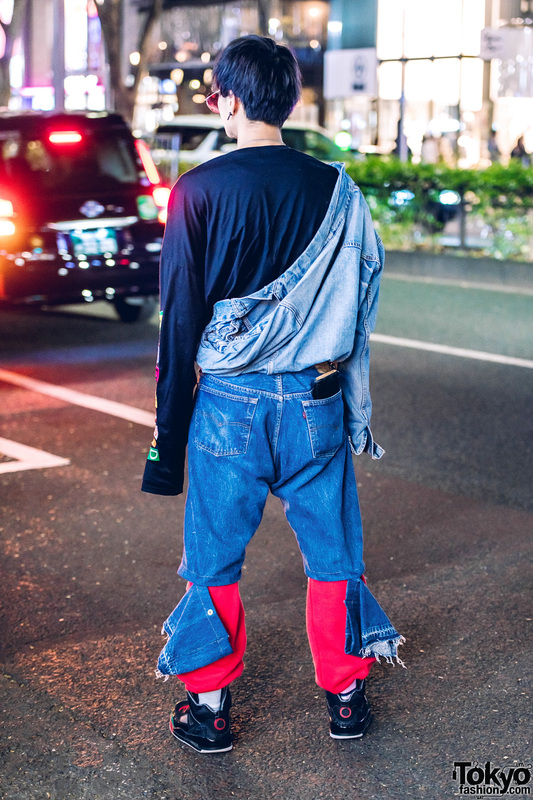 He is also active on Instagram.